In anticipation of WordsThaw 2016, The Malahat Review and Planet Earth Poetry have partnered for a special prequel featuring award-winning poets Carolyn Smart and Arleen Paré. The evening begins at 7:30 with an open mic. Join us, and whet your appetite for poetry. To brave the open mic, show up at 7:00 to put your name in the hat. Location: Hillside Coffee and Tea, 1633 Hillside Avenue, across from Bolen Books. 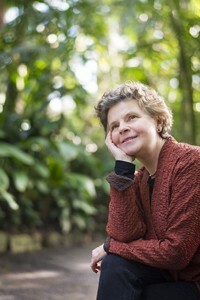 Carolyn Smart has written six collections of poetry, including The Way to Come Home (Brick, 1993), and Hooked: Seven Poems (Brick, 2009). Her memoir At the End of the Day (Penumbra, 2001) won first prize in the 1993 CBC Literary Contest. Smart is the founder of the RBC Bronwen Wallace Award for Emerging Writers and an editor for the Hugh MacLennan Poetry Series of McGill-Queen’s University Press. 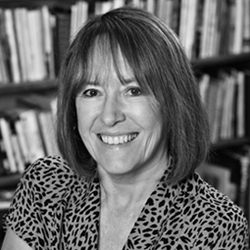 Since 1989 she has taught creative writing at Queen’s University. She lives with her family in the country north of Kingston, Ontario. Her most recent book is Careen (Brick, 2015). Arleen Paré, a Victoria poet and novelist, is a graduate of SFU’s The Writer’s Studio program and an MFA graduate from the University of Victoria. Her first book, Paper Trail, was nominated for the Dorothy Livesay B.C. Book Award for Poetry and won the Victoria Butler Book Prize in 2008. Her second, Leaving Now, was released in 2012 by Caitlin Press. Her third, Lake of Two Mountains (Brick), won the 2014 Governor General’s Literary Award for Poetry. Her latest collection, He Leaves His Face in the Funeral Car, was released by Caitlin in September 2015. Paré is one of three panelists for WordsThaw’s The Investigative Poet: Observer, Researcher, Analyst. Planet Earth Poetry is a reading series that features established writers from the West Coast and across Canada, alongside open-mic poets, beginner and experienced alike.